A healthy and convenient breakfast to take to work during the week! 1. Sautee arugula in a pan. 3. 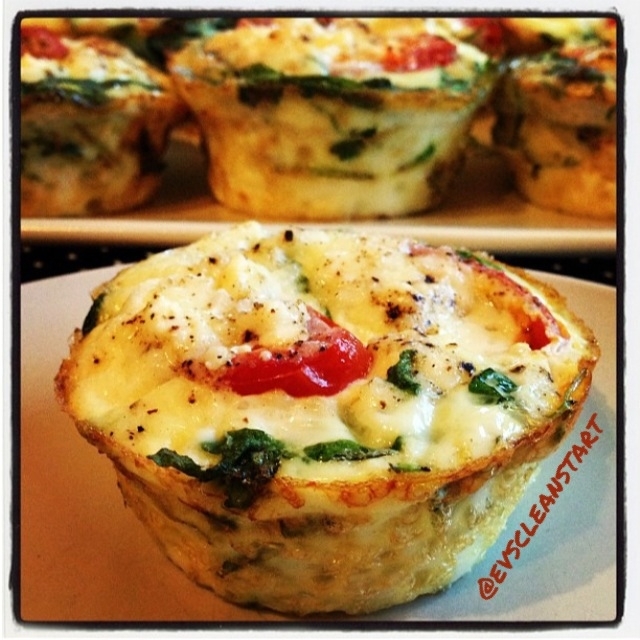 Distribute arugula, 2 tomato halves, 1 tsp feta, and 1/8 cup whites into each of the 12 muffin tins. 4. Sprinkle with salt and pepper. 5 Bake at 350 for 25 mins.